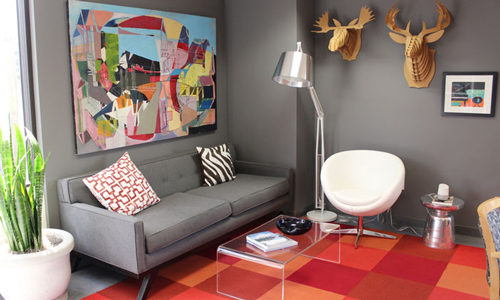 Spaces We Love: i.d.e.a.’s Inspiring Little Italy Headquarters! i.d.e.a.‘s headquarters on the top floor of 444 West Beech Street is nothing short of inspiring, creative, collaborative and happy. From the team that works there, to the bright colors, natural light and positive work environment, happiness just exudes from this workplace. It’s everything you would hope to see in the office of one of the most respected agencies in the country–let’s take a look inside!